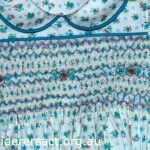 Maxine, I’m told that the smocking dots are really “old school” these days (but I remember them! 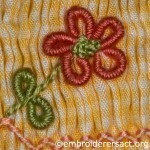 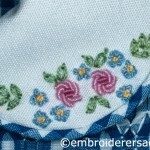 ), however if you can’t find them through any of the local fabric/sewing retailers (or on-line?? 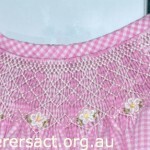 ), maybe you could visit our Annual Exhibition in September (see the Events and Exhibitions tab on the web site), and talk to any of our “smocking expert” members – amongst other things we will be having a demonstration of smocking techniques, old and new. 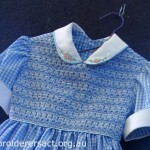 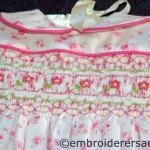 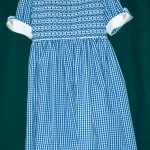 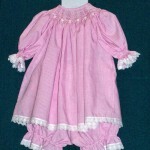 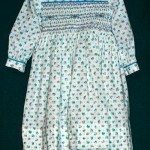 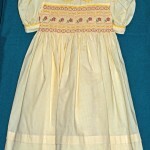 I found a baby dress started in the 80s I need to sew it up and smock it I made a baby dress in 68 for school cert andmychidren have been christened in now I have found this one and need lessons on smoking again any Help? 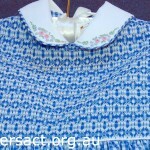 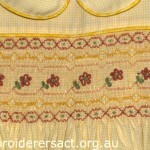 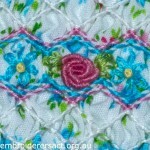 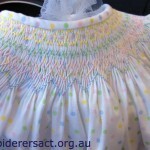 We have a smocking group that meets in our rooms at Hackett on the first Saturday of each month, 1pm to 4pm (ie the next one is this coming Sat 7/7 http://embroiderersact.org.au/when-we-meet/). 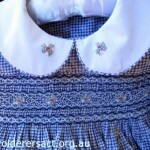 They are into all things smocking so could probably help you out, although we don’t at this stage do any structured lessons. 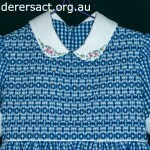 If you turn up and the front doors are locked, please ring the Guild’s number on the sign in the window, and someone can let you in. 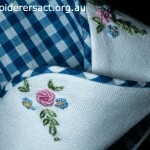 Or if you’d like to speak to this group’s Co-ordinator to find out more, I could give her your email address to make contact – let me know.